Overview… a tattoo artist and landlord living in Albuquerque, New Mexico. When Jesse Pinkman moves in next door, she brushes him off at first, but they soon begin dating and they fall in love. Jane is a recovering addict, but she accepts the drugs that Jesse offers her. 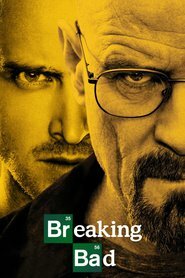 He lets her in on his meth-cooking scheme with Walter White, and she pushes him to go after a bigger share of the profits. Personality… artistic, troubled, and confident. She’s guarded at first, but opens up to the people she loves. Jane has struggled with drugs and her relationship with her father, but she’s a big dreamer, albeit naïve, and has plans for a life she can build in a new place. Jane Margolis's popularity ranking on CharacTour is #1437 out of 5,000+ characters. See our top-ranked characters and read their profiles.